President Barack Obama signed into law a bill allowing Congress to review any agreement reached with Iran over its controversial nuclear program. The fact that the legislation earned Obama’s signature is notable because he initially opposed attempts by congressional lawmakers to insert themselves into the delicate negotiations between Iran and the P5+1 (the US, UK, France, China, Russia and Germany). The two sides have already agreed to a framework for a final deal, though significant details still need to be hammered out, including the pace and timing for lifting the sanctions on Iran, and exactly what kind of nuclear energy infrastructure Tehran will be allowed to maintain. In the event of a final deal, Congress will be granted at least 30 days to evaluate the agreement and render its approval or disapproval. During this review period, Obama would not be permitted to remove the sanctions. If Congress chooses to pass a measure rejecting the deal, Obama could veto the action. 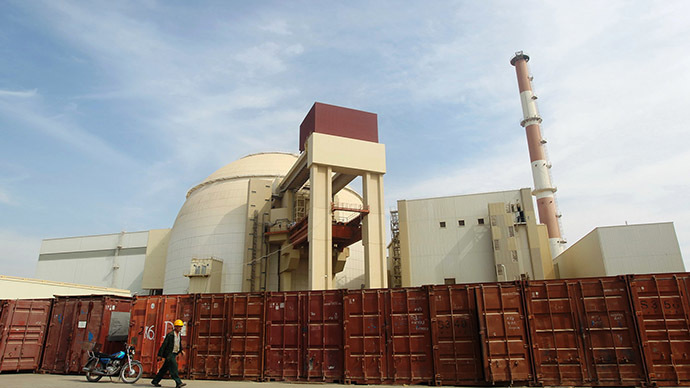 While Iran insists its nuclear program is peaceful and not meant for developing nuclear weapons, the US and other countries have levied sanctions against Tehran over concerns that it is not being truthful. Opponents of a deal also argue that Iran will not actually comply with its regulations after sanctions are lifted. In an interview with The Atlantic this week, Obama defended the ongoing negotiation process with Iran, arguing that he’s not willing to accept a bad deal. Supporters of the bill Obama has just signed say that it strengthens America’s hand at the negotiating table and ensures the White House keeps lawmakers’ concerns in mind. “Our negotiators should take advantage of the added leverage to force further concessions from the Iranians so that any agreement reached is verifiable, enforceable and can assure the American people Iran will not be able to develop a nuclear weapon,” Sen. Bob Corker (R-Tennessee) told the Associated Press. The bill’s road to passage was anything but smooth, however, as, at one point, 47 Republican senators penned a letter to Tehran warning that a future president could void any deal struck with Obama. The White House labeled the letter “reckless” and “irresponsible,” with Obama saying he was “embarrassed” for the GOP members who signed it. Iran’s leader, Ayatollah Khamenei, criticized the letter and expressed concern over the American posturing during negotiations. “Every time we reach a stage where the end of the negotiations is in sight, the tone of the other side, specifically the Americans, becomes harsher, coarser and tougher. This is the nature of their tricks and deceptions,” he said, according to the Mehr news agency.